On Friday 16 October Defected In The House joins forces with Strictly Rhythm to bring underground house talent from across the globe to AIR, Amsterdam for another edition of the label’s Amsterdam Dance Event (ADE) showcase events. 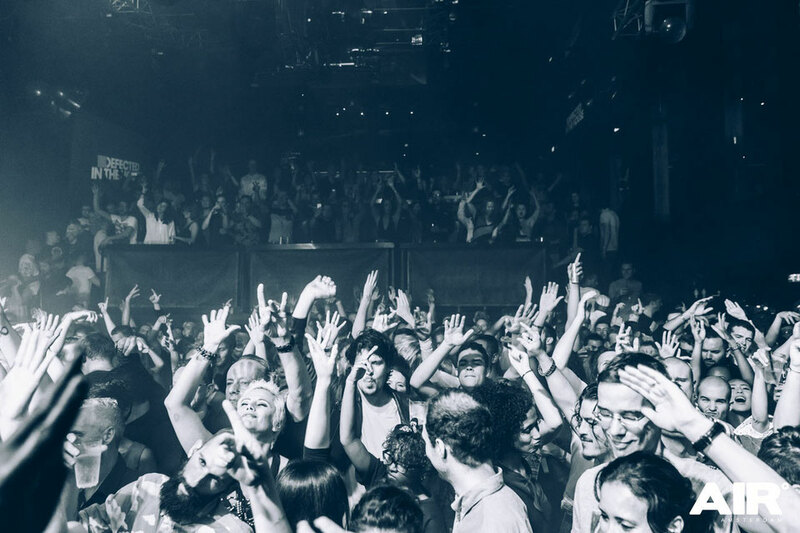 The event this October marks the fifth year that Defected have thrown their ADE showcase at AIR. 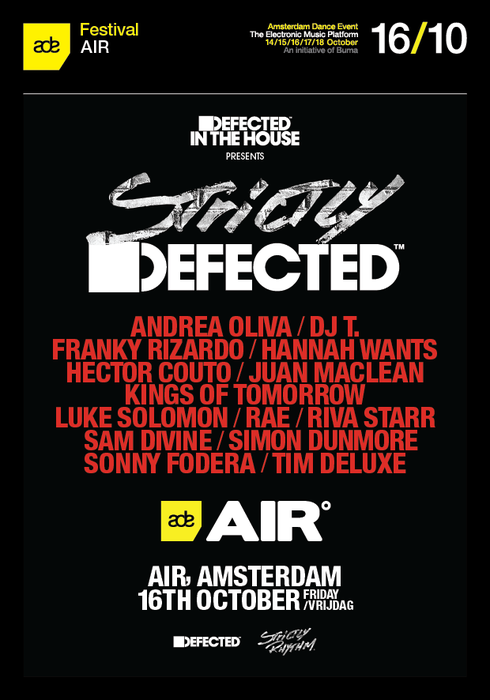 The Strictly Defected party includes both established and rising artists from across the house spectrum, with AIR’s two rooms showcasing the depth and breadth of their roster of talent, the vast majority of whom have played their parts at Defected’s shows at Amnesia and Space in Ibiza this season. The wide range of music championed by both labels is reflected in the diverse line-up. Sandy Rivera plays a special set as Kings Of Tomorrow alongside recent Defected collaborators Riva Starr, Hector Couto and Andrea Oliva, with a special appearance from Hannah Wants whose performances on the Amnesia Ibiza Terrace has apparently denoted her as one of Defected’s key players this season. The Defected residents are present, with sets from Sam Divine, Sonny Fodera, Franky Rizardo, Simon Dunmore and Rae demonstrating the emphasis of the label on building a solid foundation for its parties. Room 2 hosts Juan MacLean, DJ T., Tim Deluxe and Luke Solomon, each with their own take on electronic music. The ADE party continues Defected’s This Is Our House Club Tour that commenced back in March at London’s Oval Space. The tour takes in dozens of clubs and festival spaces across Europe and Asia, including Amnesia (Ibiza), Extrema Festival (Holland) Barrakud Festival (Croatia), Shakedown Festival, (Brighton) Sundown Festival (Norwich) and EH1 Festival (Edinburgh), with many more dates still to be announced.